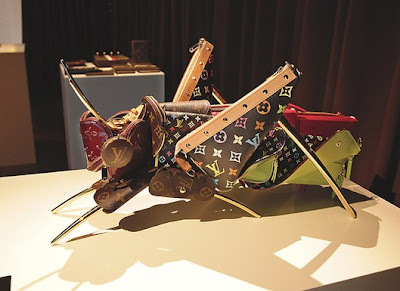 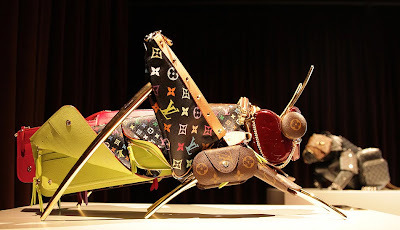 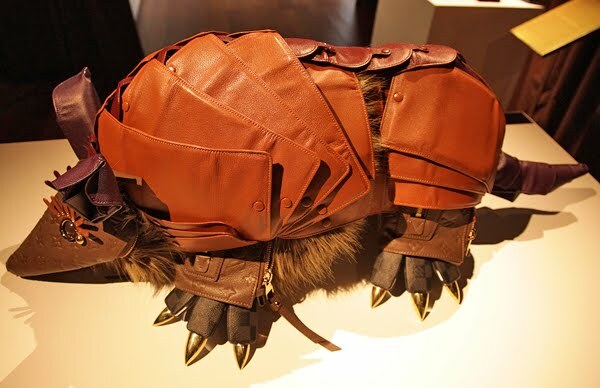 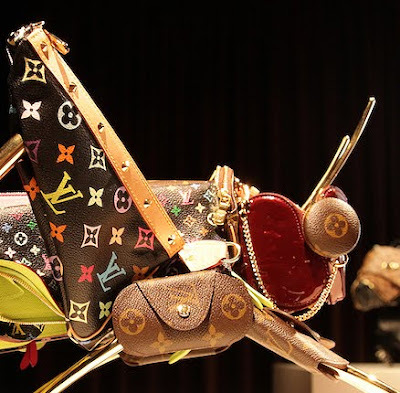 Japan Sumo: Louis Vuitton Creatures Made Of Small Leather Goods By Billie Achilleos. 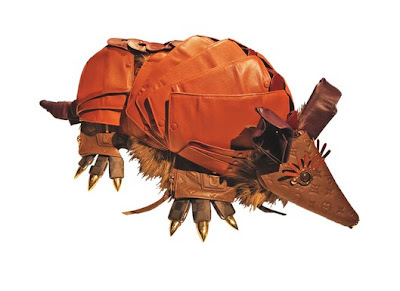 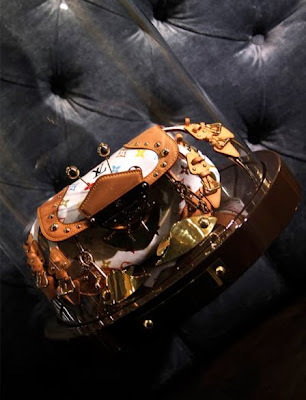 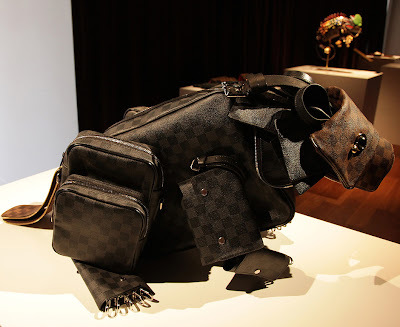 Louis Vuitton Creatures Made Of Small Leather Goods By Billie Achilleos. 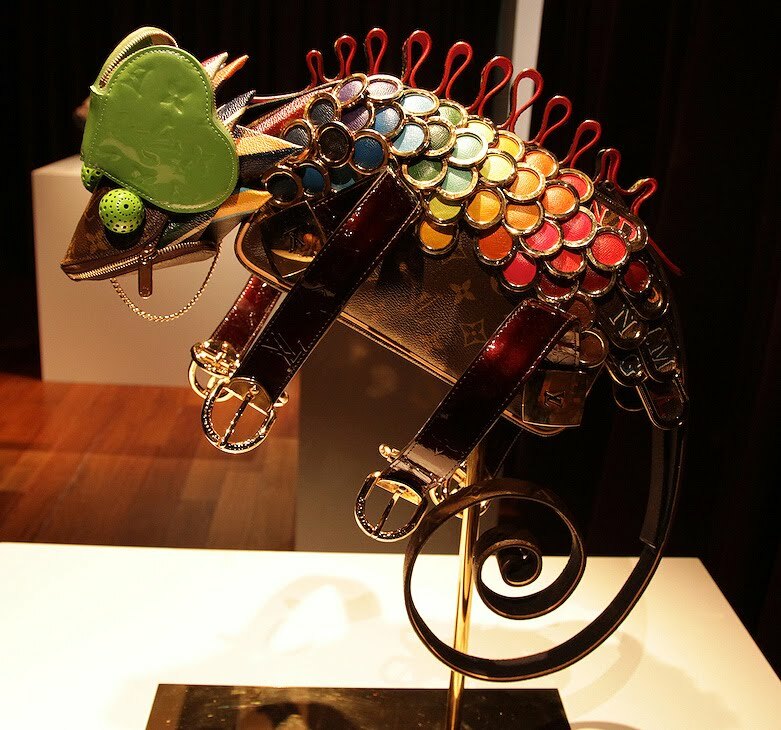 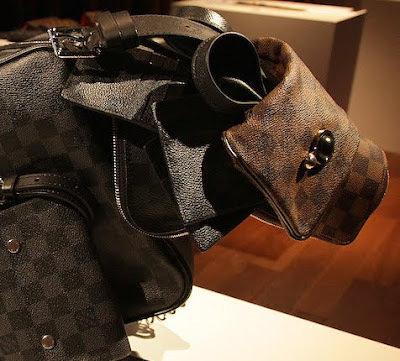 above: detail of a Chameleon, made completely of Louis Vuitton's small leather goods. 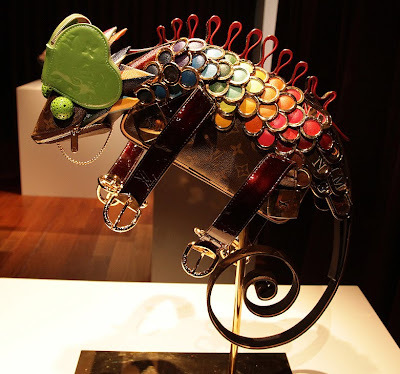 Recently, Louis Vuitton tapped Chameleon Visual and the incredibly talented propmaker/puppeteer/artist Billie "Fingers" Achilleos for a second time*. 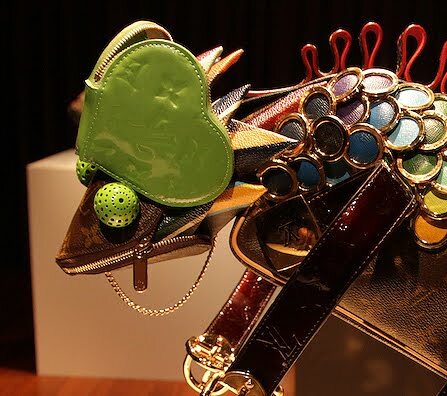 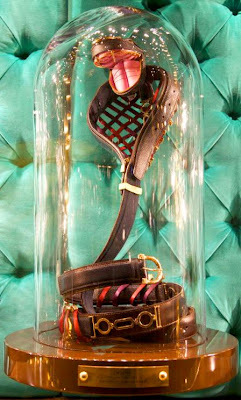 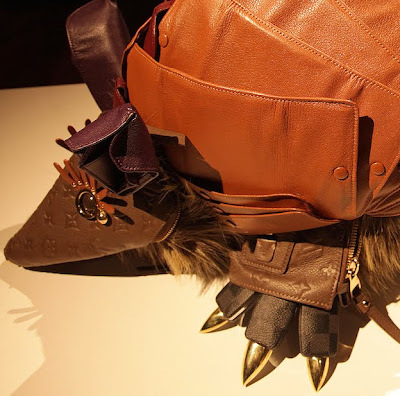 In this instance, it was to create four bespoke animals made from Small Leather Goods for their AW11 Press event, which was held in Paris this week. 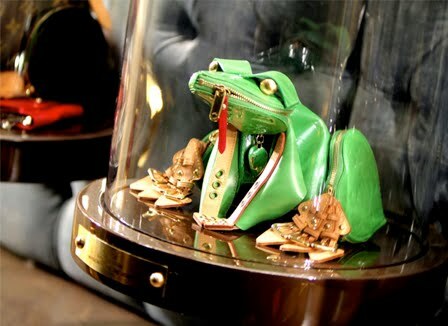 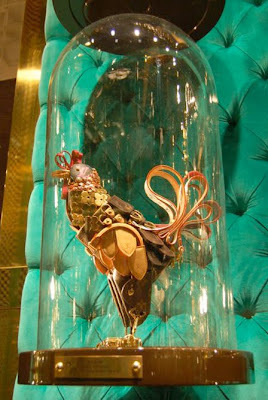 *Earlier this year Billie Achilleos, the self-proclaimed "Maker of Things" was approached by Chameleon Visual to produce some very unique creatures for the debut windows of Louis Vuitton?s New Bond Street Maison. 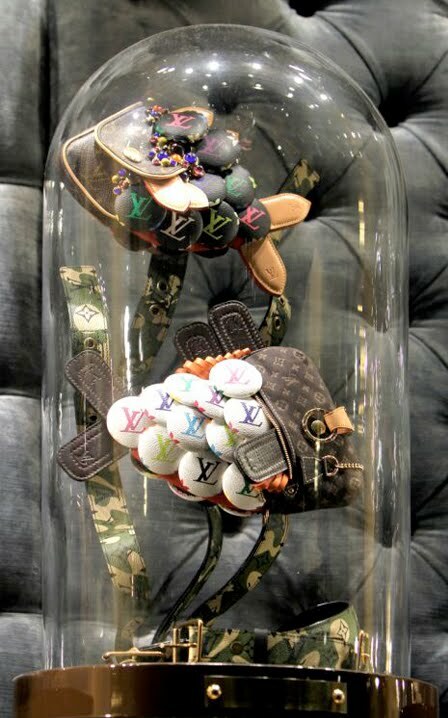 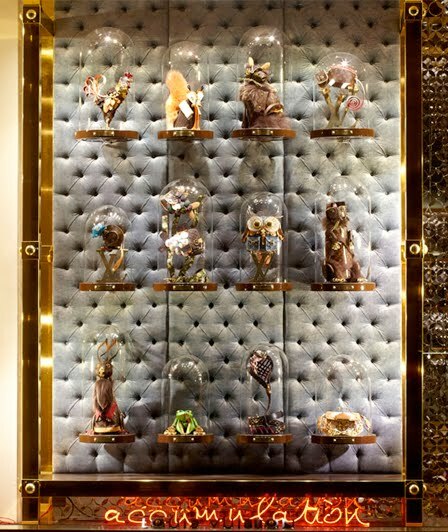 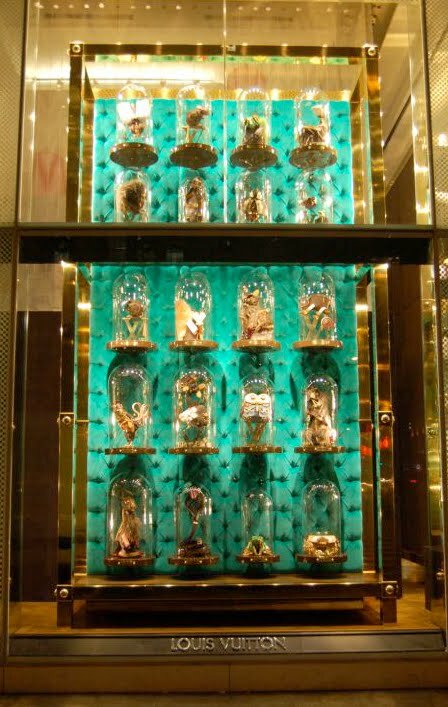 Each of the 20 bespoke animals was carefully constructed out of genuine Louis Vuitton bags, purses and accessories and resented in dome jars. 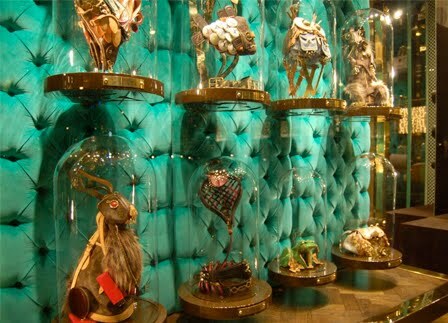 The windows were such a success, they did it again for the New York store. 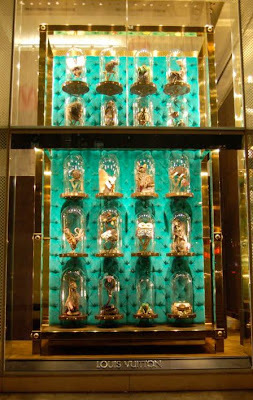 above left: the window of the Bond Street store and right, in New York.